Mango lovers rejoice! 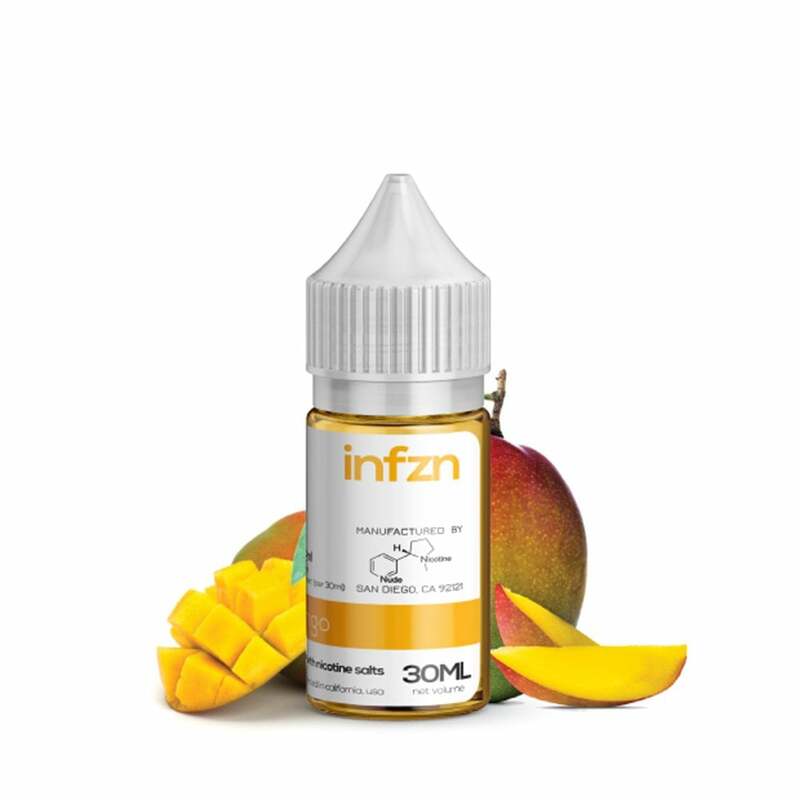 INFZN has made a vape juice for you that brings the sweet sweet mango taste right to your vape, or any refillable pod mod. This mango nic salt will leave any mango fanatic satisfied with its smooth and refreshing flavor. INFZN nicotine salt vape juices are available in 18mg (1.8%) 30mg (3.6%) or 50mg (5%) nicotine strengths. Each of the INFZN juices come in a 30ml bottle.